Join us in unearthing surprises, prying open the vaults and breathing life into long dead…documents! Explore the fears of nuclear warfare in the 1950’s and how those fears were exploited by Hollywood. This talk is illustrated with posters from the campus McLaughlin Collection. By Jean Green, head of Special Collections and Archives. Learn about a civil defense drill on our campus in 1960, at which several students refused to participate. This particular event defined student protests during the infamously tumultuous 1960’s. By Yvonne Deligato, university archivist. Discover a new mystery genre, atomic renaissance – a term used for female mystery writers of the 1940’s and ‘50s. By Beth Kilmarx, curator of rare books. 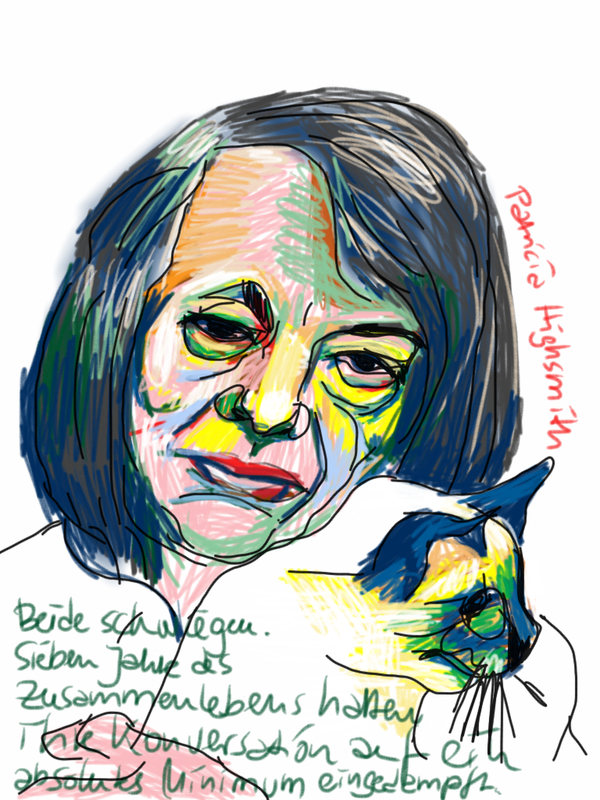 An i-Pad sketch of atomic renaissance mystery writer, Patricia Highland. This entry was posted in Blog, libraryhomepage, Uncategorized and tagged libraryhomepage. Bookmark the permalink.